I love interview conversations and learning more about someone’s journey into their true voice. It raises questions about how you’re living your own life, wisdom gained, and that you’re still on the path. 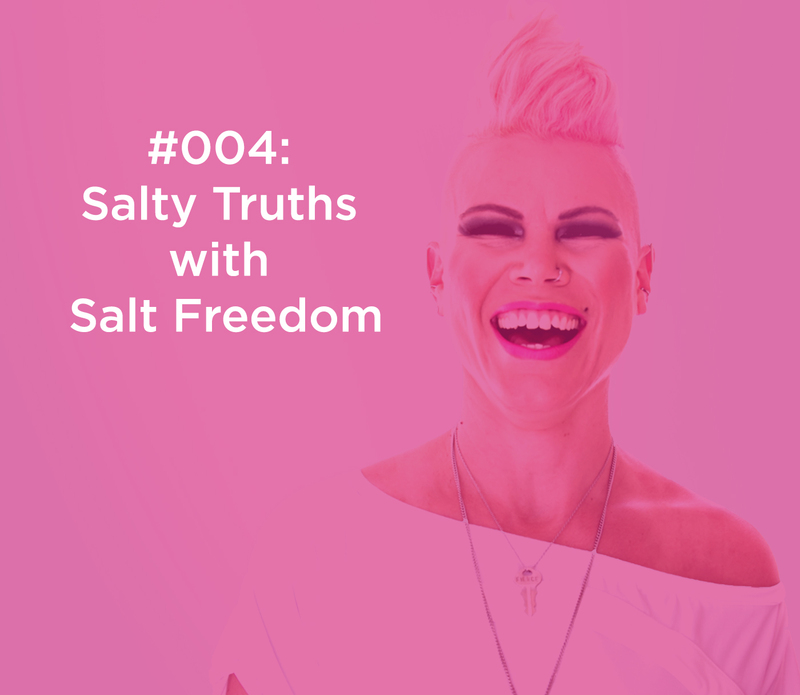 I invite you to listen to my conversation with Salt Freedom and listen for yourself. Here are some questions we dove into together. There are some magic in the moment gems in this conversation. I can’t wait to hear what you think…be sure to leave us a comment and share. Do you remember your 5 year ago self? What has changed since then for you? What is the same? Who are you online and who are you showing up as in your life? Are they aligned and one in the same? Is there a turning point in your life that has empowered your true voice? Vulnerable share by Salt here – we all want to be accepted, loved, and not bullied. What did Salt do when she was in her teens that was a major wake up call for her? What is your daily spiritual practice for your lifestyle right now and what benefits do you see you receive? Salty Truth: “heart conversion” – check out this conversation at 10:30 – “Sometimes we can know something in our head and not know it in our heart yet”. Candid moments with Salt about her role as a mom and her big dare to herself….44:50. You two ladies are so inspiring! Thank you for sharing your strength, wisdom, and reminders to be true to ourselves. You are so welcome Megan! Thank you so much for joining our conversation! What a journey we are all on!